Regular visitors may know that I have somewhat of a predilection for white florals. Actually, that’s an understatement, and I should correct myself by saying that, in truth, I blinking love anything that sends forth a hefty wind of white floral loveliness. My favourite fragrances are classics like Robert Piguet’s Fracas (a vampish tuberose) and Cartier’s La Panthère (a feline gardenia), and a thousand others. I’m an addict with no intention of curbing my lust for hot white petals anytime soon. So, imagine my glee when I heard that a line of white floral-inspired scented candles just launched. 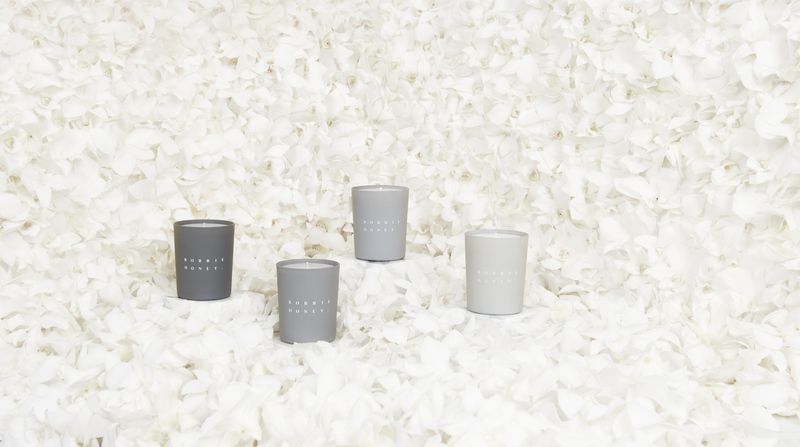 The line comes from “one of London’s most foremost florists [and] Floral Creative”, Robbie Honey, who is launching his lifestyle brand with four candles (each with a 60hr burn time) inspired by white flowers, specifically; ‘Muguet des Bois’, ‘Jasmine’, ‘Casa Blanca’ and ‘Tuberose’. Of course I was immediately drawn to the heady, intoxicating signature of the Tuberose (I just can’t help myself) which, as you will see, lives up to the resplendent nature of its floral muse.